Two nights ago, we sprained our left ankle after slipping and falling on uneven pavement while crossing the streets of New York City. 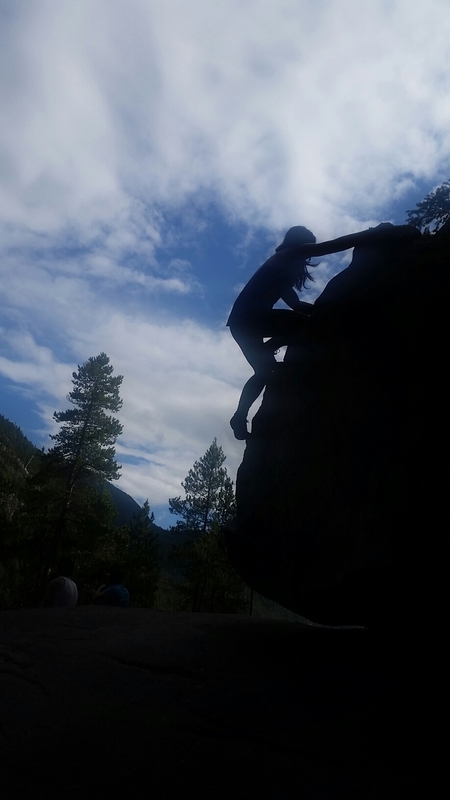 We immediately knew that our ankle was no bueno for climbing after feeling that all-too-familiar sharp shooting foot pain, and our acupuncturist doctor confirmed our fear the following day. She prescribed R.I.C.E. (rest, ice, compression, and elevation), and no climbing/hiking/biking/yoga/any dynamic activity that could further exacerbate the tendon tears in our poor bruised, swollen ankle. One of the toughest things to do as an avid rock climber is to rest. Fortunately, we’ve had a lot of experience with climbing injuries, and learned over the years that in addition to occupational or physical therapy, one of the best things you can do for your body is to rest. ‘Ok, great, but then how does one keep sane once one’s happy place has been compromised?’, you might ask. So here’s what half a dozen bouldering injuries, three ruptured left ankle ligaments, a car accident, an antero-inferior labrum tear, and shoulder surgery have taught us over the years: life is too short to be one-dimensional (and master a single trade, as it were). Learn to fall in love with everything else. Maybe your shoulder or finger tendonitis means you have to stay off the walls for a bit, but what about that gentle yoga class you’ve been meaning to try? Or that bike ride to the beach or waterfall hike that’s been on your tick list for the past year? Busted ankle? No problem! Try upper body and core conditioning exercises such as rowing, pullups, lifting, and crunches while you wait for your tendons to heal. Whatever your injury, transform it into an opportunity to try something new. So this is what happens when we engage in risky activities like crossing a street. Next time, we’re sticking to rock climbing!